The UCC is dedicated to supporting and promoting the needs of the Ukrainian Canadian community for the benefit of future generations. To achieve our goal, we need your financial assistance. The following outlines some of the various opportunities that are available to those who wish to contribute financially to the Ukrainian Canadian Congress-National. Thank you for your support! All contributions are sincerely appreciated and help us to address a wide range of needs in the community. If you participate in your employer’s annual United Way campaign, you can choose to designate the Ukrainian Canadian Congress Charitable & Educational Trust the recipient of your charitable contributions. Speak with your employer to learn more about donating to UCC-National through the United Way. This can be provided via currency, cheques, credit cards, electronic funds transfers, payroll deductions, matching gifts, and monthly donations. Gifts from an estate may be in the form of a fixed amount, percentage or residue. 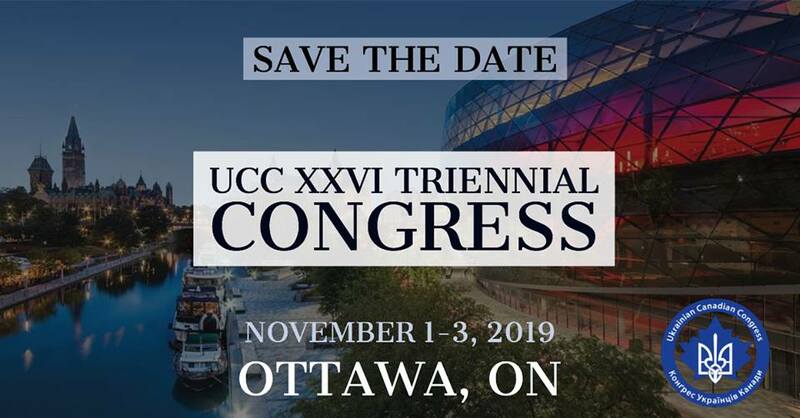 I give and bequeath the sum of $___________(or “the residue of my estate remaining”) to the Ukrainian Canadian Congress – National or the UCC Charitable & Educational Trust. Your gift can be acknowledged and put to use during your lifetime. Watch your donation make a difference. Cash, property or other personal assets can also be donated to the Congress or Trust as a way to demonstrate a commitment to the promotion and preservation of the Ukrainian community in Canada. You can assign an existing life insurance policy to the Ukrainian Canadian Congress – National, naming the Congress or Trust as both the owner and the beneficiary of the policy. Tax receipts for donations to the Trust are issued for the approximate cash value of the policy. You can purchase a new life insurance policy with the Congress or Trust serving as both owner and beneficiary of the policy. The donor makes the annual tax deduction premium payments to UCC-National or the Trust. are gifts of property other than cash. They include donations of capital property, a leasehold interest, a residual interest, equipment, a right of any kind. UCC-National reserves the right to refuse gifts that are not of value or benefit to UCC. are accepted by the UCC-National. Securities are appraised immediately upon transfer and the donor is provided with a tax receipt for the fair market value of the securities based on the closing bid of the share on the date of transfer. Annuity involves the transfer of cash or property to the UCC-National in exchange for a partial tax deduction and a lifetime stream of annual income. UCC-National will accept pledge commitments. The commitments to a pledge is not eligible for a tax receipt, but the payments to pledge are. UCC-National can be named a beneficiary on registered retirement plan documents. A tax receipt for the value of the investment gift will be issued to the donor’s estate and applied towards the final income tax return. Alternatively, the donor can make a bequest to UCC of value to that of RRSP/RRIF proceeds received by the estate. This option is subject to probate. A Designated Fund represents a sum of money set aside within the Congress or Trust for a special or designated purpose. The annual income earned from investing the capital of each Designated Fund is disbursed in accordance with the instructions of those establishing such a fund to the designated beneficiary of the fund. These can include a specific cause, project or area of interest. A Designated Fund provides an opportunity for an individual, family, organization or institution to make a lasting contribution to the community and carry its name into perpetuity.